And for which Compamy or Owner she drive? Why Said Equasis that the Ship is Broken up? Where are your information from? My earlier comments concerned "Salvage Titan"(IMO 7522136) ex "Hua An" ex "Smit New York". She's the only remaining survivor. That's wehat I heard too. I'm not sure though. And the trader that was demolisching the Rotterdam is silent. Shame, I would have liked some pics. it should be done like it can. been searching through news articles on the net and i have found nothing new regarding Salvage Titan. so does anyone know of whats happening. SALVAGE TITAN reported refloated 23/12/2016 in Barangay Marzan, Sanchez Mira, Cagayan, Luzon Island. But nothing else found yet. Yes Jan, no doubt that was true on 14/12. 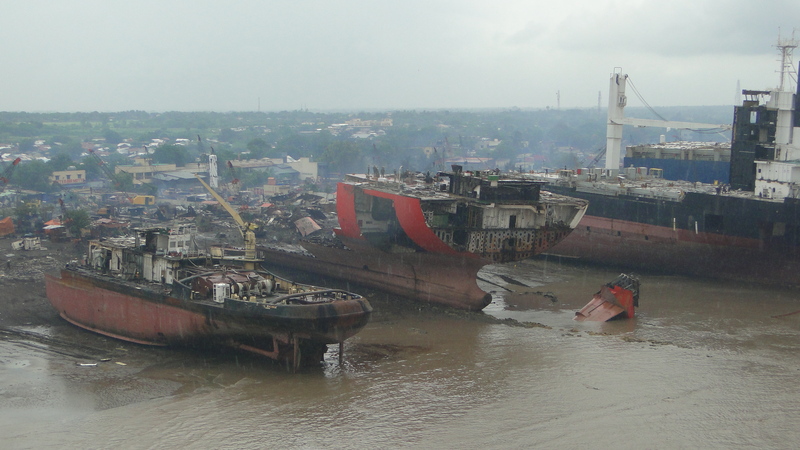 The more recent report of refloating on 23/12 may well be correct, but not confirmed. the message i received back is as follows. It was reported by Piet Sinke in his newsclippings which seems to be quite reliable news, especially regarding the latest report which has a larger probability than the initial salvage report which seemed to have based on old AIS data. so it seems she is back in deep water and not beached no longer. SALVAGE TITAN returned to service 8/2017 and took barge TENMA with container cranes from Oita to Port Klang in Aug/Sep 2017, returning her empty to Oita. Then she has been static in Kaohsiung for a year, until today when she sailed out to the southern anchorage.